Golda Meir said, “Trust yourself. Create the kind of self that you will be happy to live with all your life.” The second of the eight limbs of yoga is niyama, and niyamas are ways of caring for yourself. One of the niyamas is isvara pranidhana, which focuses on staying humble and surrendering to a higher power. For some people, that means trusting in God, and for others, like me, it means trusting in your own intuition. Surrendering to your gut, that little voice inside that tells you to do or not do a certain thing, is harder than it sounds. We make excuses and deals with ourselves and find reasons to do things that we know aren’t serving us. One of the everyday ways we do this is with our meals. Though I’ve never been diagnosed with a clinical eating disorder, like many women, I’ve exhibited disordered eating behaviors. I would fill up on seltzer so I wouldn’t be hungry at meals. I’d ignore my growling stomach. If I lost a little bit of weight overnight, I would make sure to eat exactly what I ate the day before again so I could lose another pound. I didn’t listen to my body and the signs it was giving me that it wanted more food sometimes, and most of the time, that it wanted better food. Listening to your body and listening to the intellectual part of your brain that knows that vegetables are good for you as opposed to anything with “skinny” or “natural” on the label is the way to be the healthiest version of you. Pay attention to what you put in your body. Food is fuel and medicine, and yes, it tastes great! 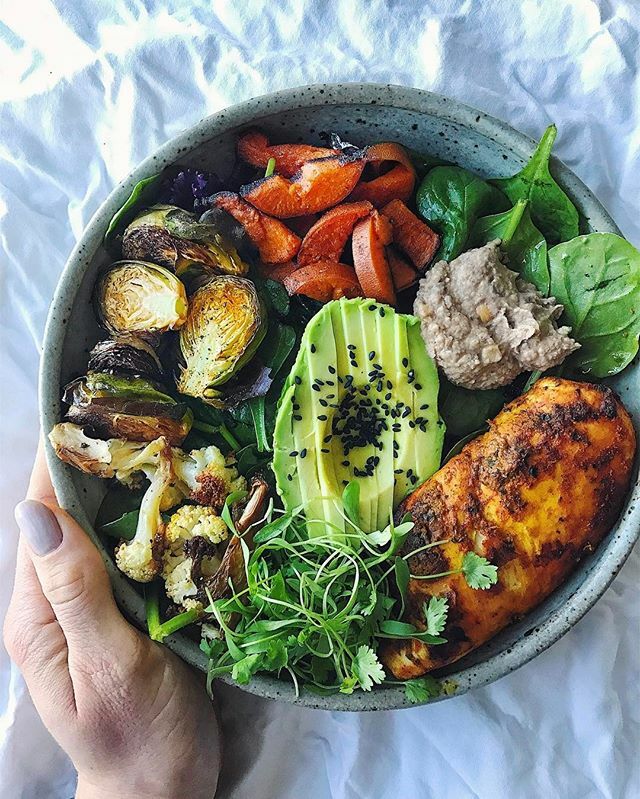 Now, I just like to eat in a way that makes me feel good afterwards, not just in the moment, because I know that what I’m taking in has positive effects on my body, energy, and overall wellbeing. No, I’m not eating a “perfect” healthy diet, and I’m definitely not afraid of fats and sugar, but I try to bring a mindful awareness to my eating and to trust myself.